Welcome to the website of the Kitsap County Deputy Sheriff's Guild. The Guild is a non-profit organization made up of over 100 commissioned Deputy Sheriff's of the Kitsap County Sheriff's Office, Washington, USA. We hope this site provides you with some useful information about our organization and the community we serve. 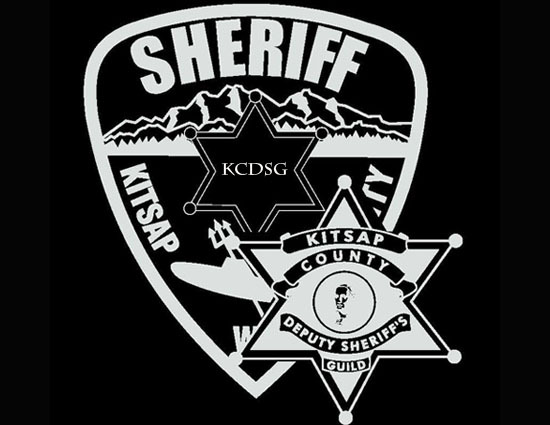 The mission on the Kitsap County Deputy Sheriff's Guild is to provide training, information, and employment representation to the commissioned Deputies serving the citizens of Kitsap County. The Guild strives to ensure that your sheriff's deputies are of the highest quality by standing up for fair and competitive employment benefits. Much of our mission is accomplished through the financial support of the Guild members themselves, but a small portion is supplemented by fund-raising activities. The Guild also takes an active part in supporting community organizations and charities through financial donations and by sponsoring various fund-raising events throughout the year. During our events, hundreds of tickets are donated by the Guild and from various sponsors to less fortunate families and children. The Guild and Kitsap County we able to reach an agreement in January of 2018 on the Deputy Sheriff's Guild 2017-2018 Collective Bargaining Agreement (CBA). Shortly before we were scheduled to go to arbitration. The County Commissioners approved at their February 26th Board Meeting. The Guild and Kitsap County will be entering into negotiations for the 2019 and beyond CBA on or before July 1st, 2018. Help support our K-9s on September 16th.